injection of anesthetic into the intraradicular bone around a tooth. It is usually performed by penetrating the cortical bone with a dental bur, followed by injection of the anesthetic solution into the cancellous bone. There are a number of alternatives to the inferior alveolar nerve block including intraligamentary anaesthesia and intraosseous injections [Meechan, 2002]. 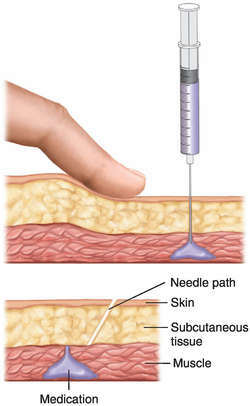 Intraosseous injections, which can inject medicines directly into the bone marrow, and laser-guided equipment for airway management, are the latest such devices.